Assam : Assam Court has summoned Congress Vice President Rahul Gandhi in a defamation case for his remark on Rashtriya Swayamsevak Sangh (RSS). He has been ordered to make an appearance on September 29, 2016. An RSS volunteer had filed a criminal defamation case against Rahul Gandhi for allegedly tarnishing the organisation's image. Mr Gandhi had claimed that RSS members did not allow him to enter Barpeta Satra, a 16th century Vaishnavite monastery, in Assam on December 12, 2015. # The Kamrup metropolitan court in Assam on Sunday issued summon against Congress Vice President Rahul Gandhi in a defamation case for his remarks on Rashtriya Swayamsevak Sangh (RSS). # Rahul Gandhi has been asked to appear on September 29, 2016. Earlier, the court had deferred its decision for August 8. 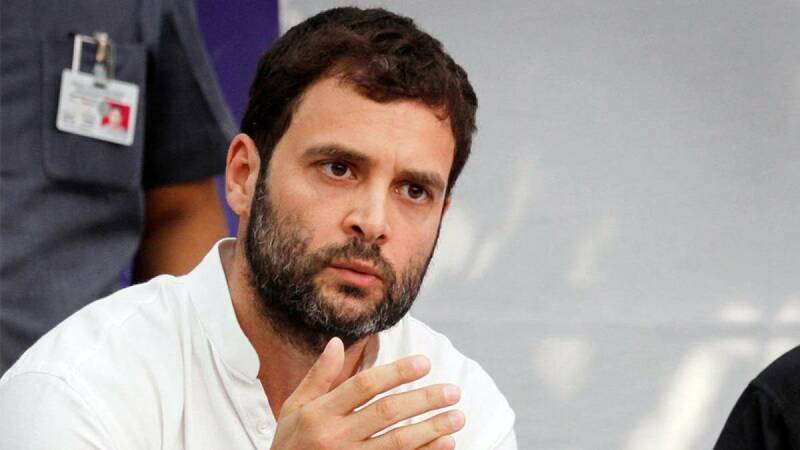 # An RSS volunteer Anjan Bora had filed criminal defamation case against Rahul Gandhi for allegedly tarnishing RSS image. # Rahul Gandhi had claimed that some RSS workers did not allowed him to enter Barpeta Satra, a 16th century Vaishnavite monastery, in Assam on December 12, 2015. # After taking words from several witnesses including elected members of the Satra, the court has issued summon.